Ocean Spray Craisins Gluten-Free Original Dried Cranberries, 5 Oz. I mix with Almonds for a Fantastic Sweet & Salty, Nutritous Snack. Love to take to a movie as an alternative to popcorn. I also love to make cookies with Craisins. Another great use is to add to my sausage stuffing. 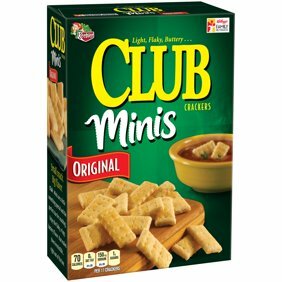 I always have a bag of these in my pantry. Such a wonderful flavor. Keeps well. A snack that is good for you too. Late in the afternoon it is my first "go to" munchie. Have been buying these since they came it. They are good as snacks, on salads, and in oatmeal. Love them. I love using craisins instead of or in addition to raisins when baking oatmeal cookies. They have a lot of flavor and make the cookies taste so much better! I am a craisins nut!!! I love them all. My favorite is infused with cherry juice. I use the craisins in salads, cookies and eat them by the handful. The ocean spray craisins are the best. I have tried the other brands and some are ok, but Ocean spray are always fresh. I feed these to my grand babies who them as much as me.